A DIY fruit picker is something a lot of people need who don’t want to go to the store to try to find a professionally manufactured fruit picking device, or don’t see any reason to pay for a factory made one when they can do it themselves. Here we have a model of a DIY apple picker, or DIY fruit picker, since it could be used on almost any fruit. It’s an idea by the fellow behind Grit – rural American know-how. How is it made? Take a pop plastic bottle and an exacto knife (or other sharp knife). Cut the hole for the fruit to fit in. 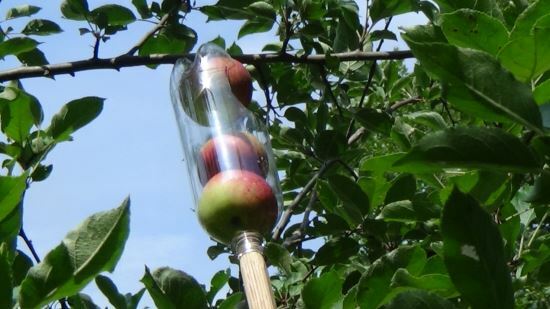 The “top” of the fruit picker should end in a fairly sharp triangle, so what you can do is just cut ONE of the five feet of the bottle out. Then cut a long piece of 1X1 or whatever wood. Whittle or grind the top into a circle to fit into the bottle mouth. then drill a screw through the bottle mouth into the wood to hold it from coming out when you yank on the fruit. Done. Tough to reach up into the top of your fruit tree? Don’t want to send someone up climbing the tree to try to get the fruit, and some of it’ll bruise when it falls anyway. Don’t have a big triangular ladder or don’t want to climb it and move it around? 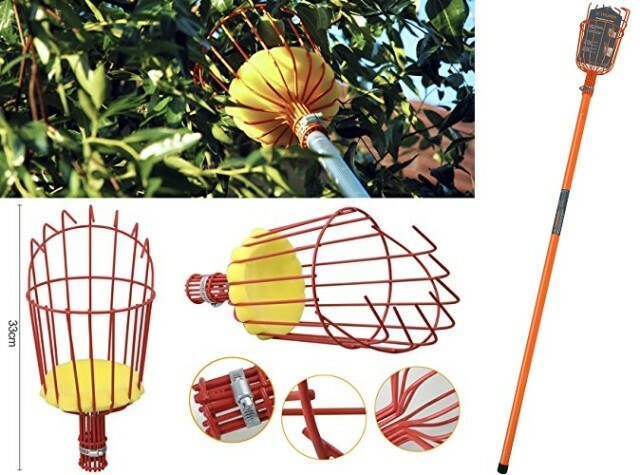 Well, this fruit picker might solve some of those problems for you. For complete instructions, visit Grit here.